And welcome to my stop in the Altenew January 2019 Stamp/Die/Stencil Release Blog Hop! 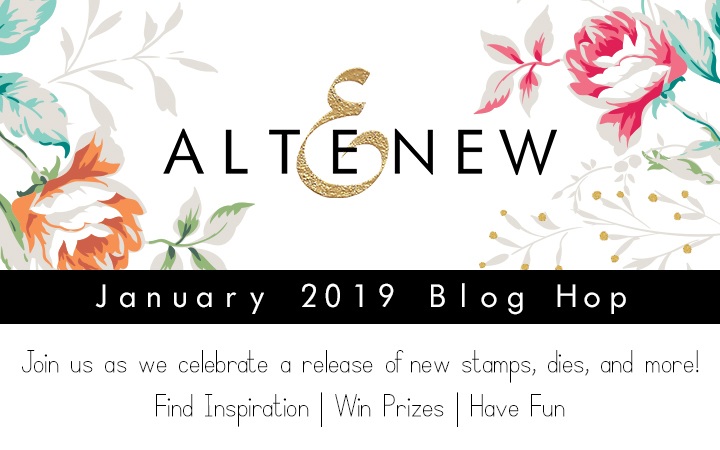 You should have arrived here from Enza Gudor 's blog, however if you need a map, a full list of the blog hop is listed below. I'm so exciting to be a part of this Release! And I am very grateful to Altenew for the opportunity to work with new products among the first, it makes me proud! Get ready to see here a lot of photos and cards. I hope to inspire and help with some of your wish list decision in my projects today. Let’s start with the new Bloom & Bud Stamp & Die Bundle! 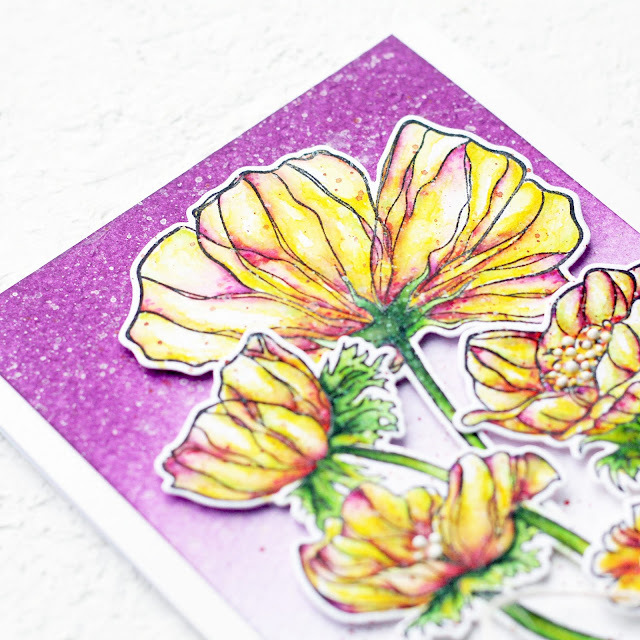 I started working on my card by stamping all the layers of the flowers and leaves using Ballet Slippers 6 Mini Cube Set and Tropical Forest Mini Cube Set. Then, I die cut them with the coordinating dies. 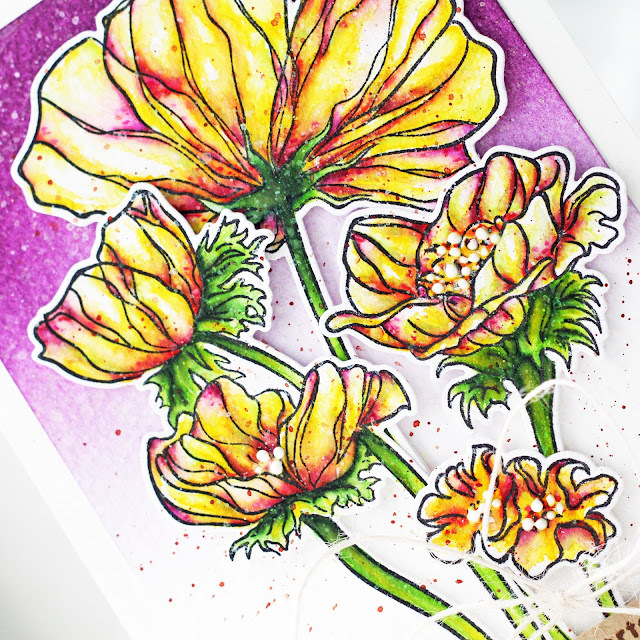 For the background, I blended Caramel Toffee Crisp Dye Ink and Cosmic Berry Crisp Dye Ink. I applied the darker shade only on the edge of the panel. After my background was done, I assembled all the flowers directly onto the background with a lot of foam tape and I added a sentiment. And of course some accents to complete this card. This card is my favorite! Here I used new wonderful Dainty Bouquet Stamp & Die Bundle. This card is absolutely similar to the first in the performance, so the principle of action is the same. I made the flowers using Red Sunset Mini Cube Set and Sea Shore Mini Cube Set inks. For the sentiment here I took a new Simply Friend Die. 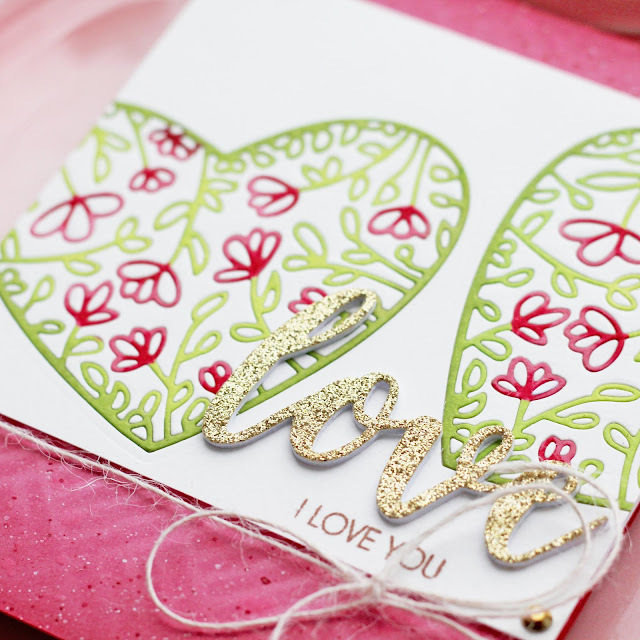 My next card with the awesome Floral Heart Frame Die. 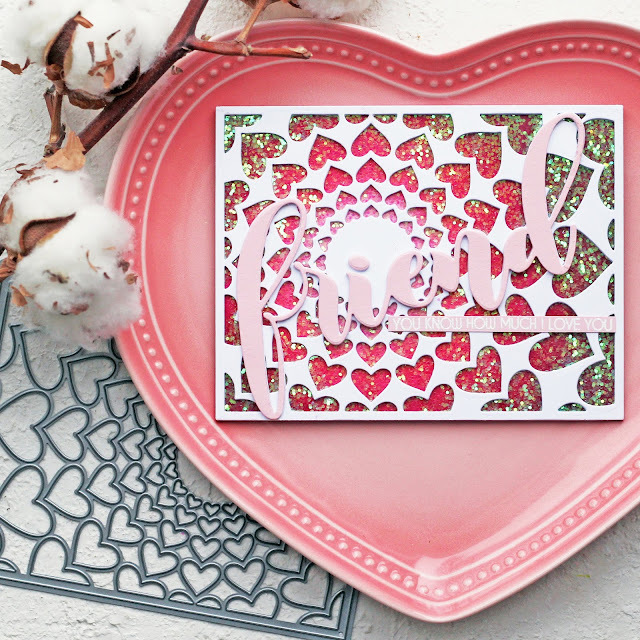 At first I toned white cardstock with different shades of pink and red inks using Square Weave Pattern Stencil and sprinkled it with white and red paint. And then I cut out the hearts using a frame die. And tinted only cutting, then put it back. So I get a textured background. "Love" sentiment is from the Script Words Die Set. 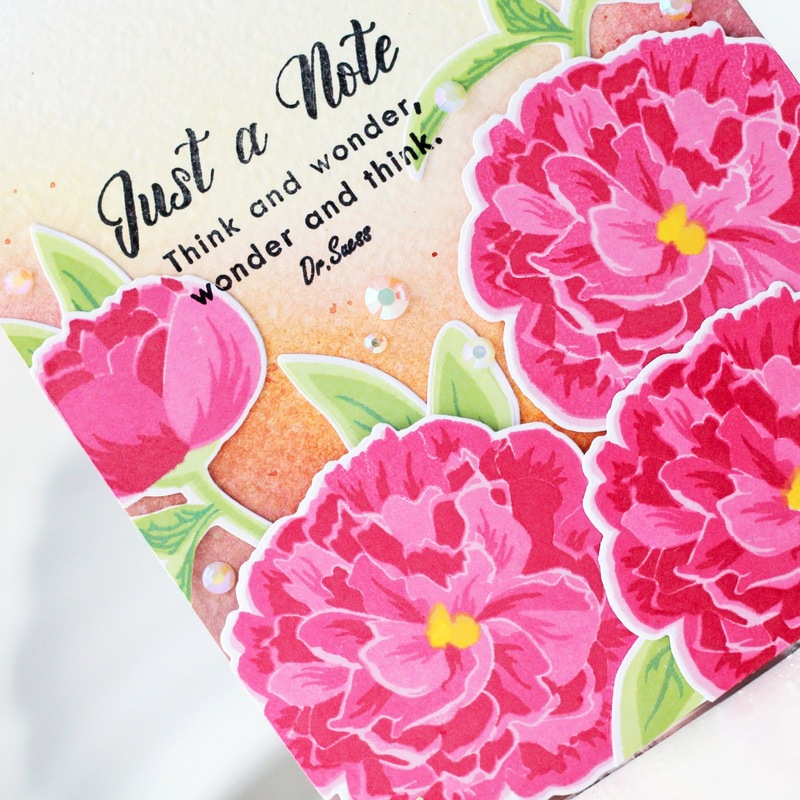 For this card I used new Wonderland Stamp & Die Bundle. This set is perfect for watercolor! So I decided to paint the flowers in watercolor technique. Next I ink blended Altenew inks from the Enchanted Garden Mini Cube Set to create a background. To make the depth effect I also sprinkled a little with the water for the spots and with the white and red paint and old tooth brush for making the fireflies effect. This is my last card for today. Here I used new Radial Hearts Cover Die. To create glitery background for my card I wanted to do something special, something magical. First I ink blended a panel with Cherry Blossom Mini Cube Set. Now time to do some magic! I covered panel with water-based glue and sprinkled it with glitter. I let it dry and cleaned off the excess. So simple to make, but what an impressive look it created! The first card is so vibrant in color, I love it!! Thanks for sharing your talent! love this release. 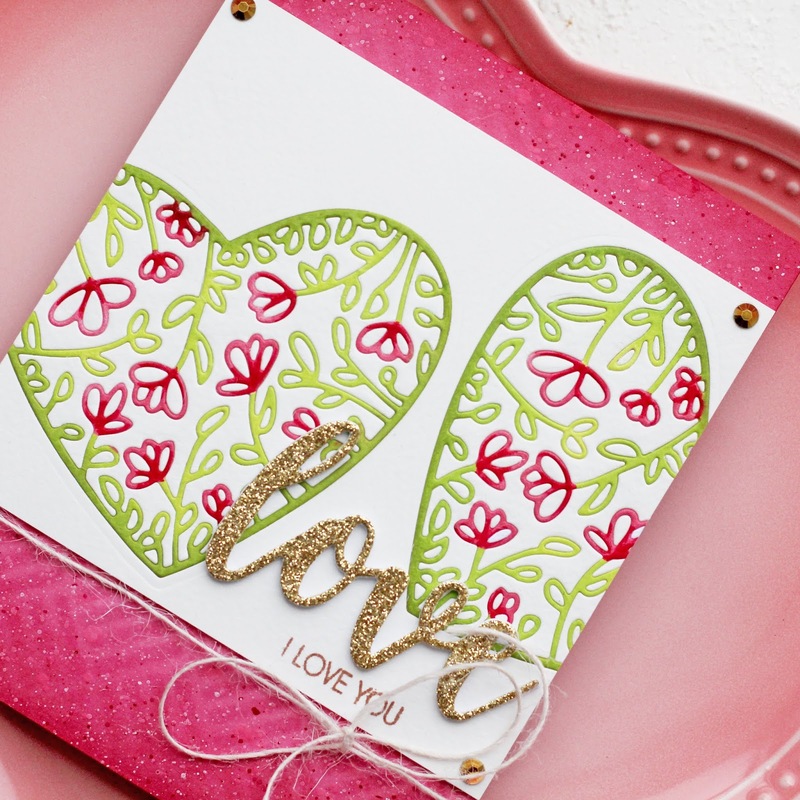 I am loving the radial hearts die, and that glitter you added is incredibly beautiful. Wonderful creations! All of your cards are lovely. 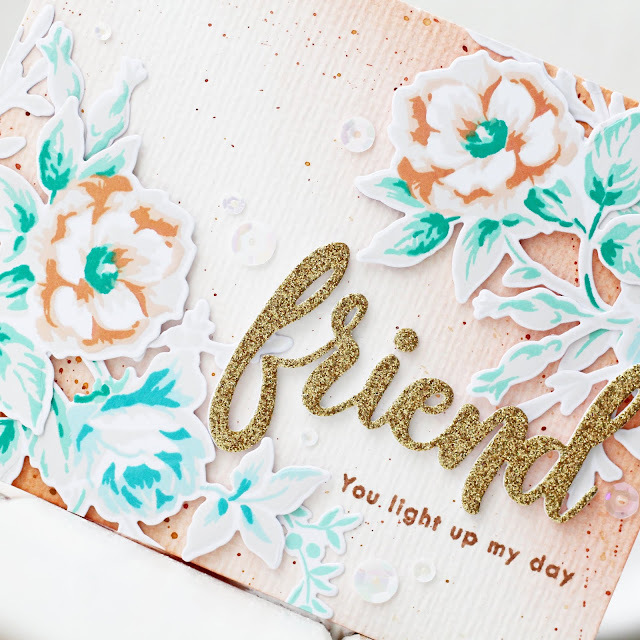 The card using the Wonderland Stamp & Die Bundle is my favorite! Love the colors and the composition. Fantastic job!!! Beautiful creations, Olga! I especially love the one you made with the Floral Heart Frame Die. Gorgeous hearts and floral cards!! 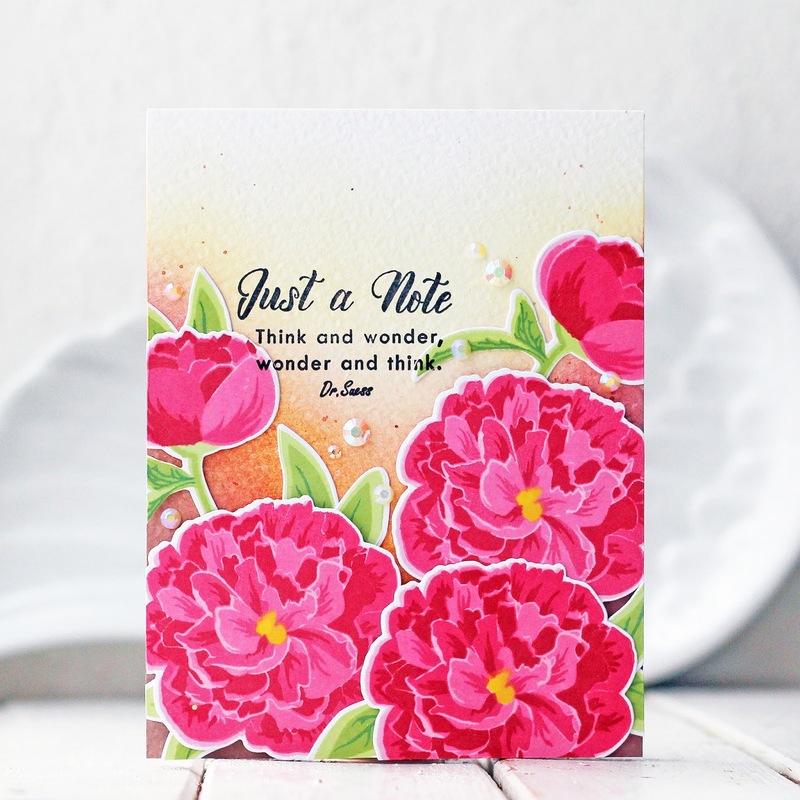 Such vibrant and fabulous cards! Love all these cards! So beautiful! Beautiful cards!! I love the Radial Hearts cover die. Beautiful cards - I love the bright bold blooms of the first card, the lovely fresh colours on the love card, and LOVE the glittery background peeking through the die cut hearts - very glam! Absolutely beautiful! I bet they're so shiny in person! Beautiful Cards, Love the new releases. Thanks for the inspiration! These are all sooooo gorgeous! I love the radiating hearts die and I love how your flower colors are so vivid!!! Wow!!!! I really love your beautiful cards! You knocked it out of the park! Simply stunning designs Olga! 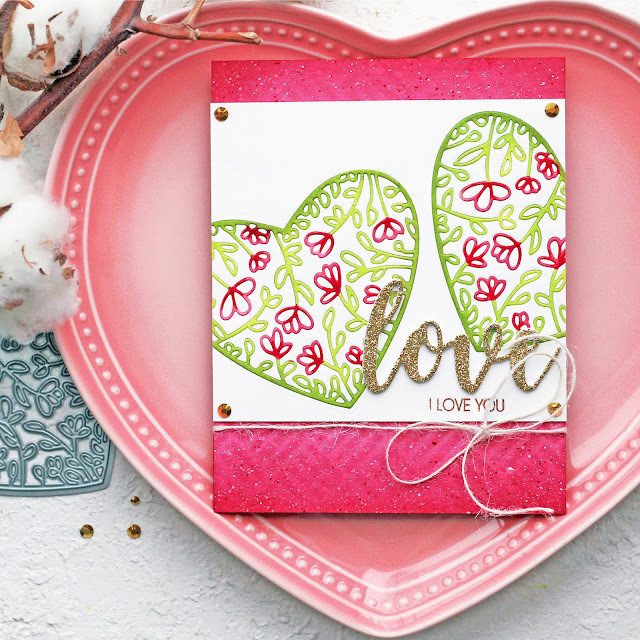 Love the Bloom and Bud stamp and die set as well as the radiating hearts cover die! Thanks for the inspiration! Beautiful work..thank you so much for sharing..great release! Wonderful cards. Love the dimension you added . I love the two floral sets and the way you used color. Now back to reread the instructions. Gorgeous cards! Gorgeous flowers! Love the radial heart die with the glittery hearts! 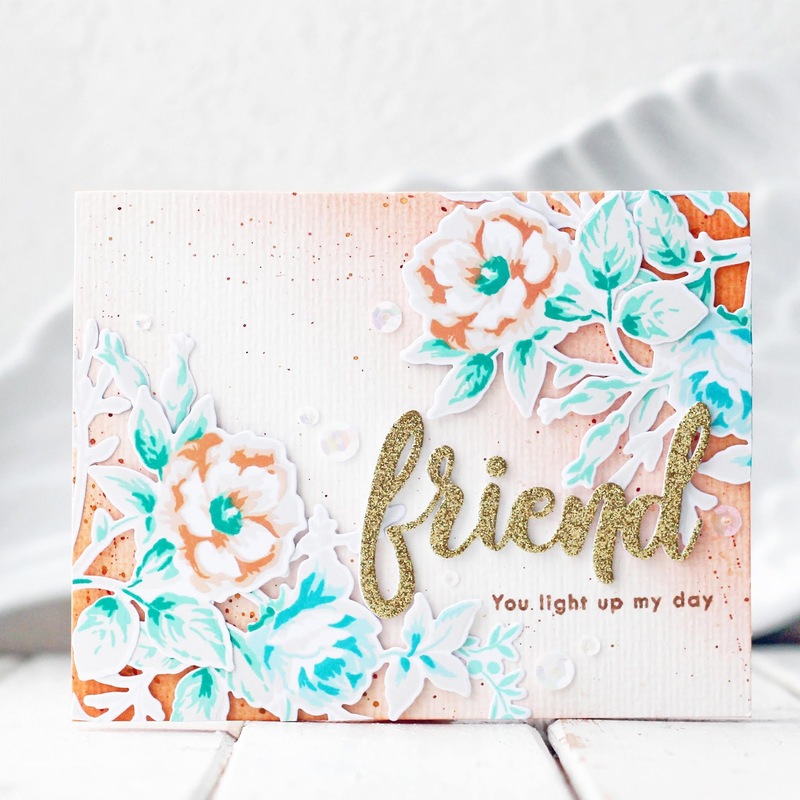 Beautiful cards, such great use of color and design! This new release is the bomb!! Thanks for sharing your inspiring work with us here! Wow Olga! Wonderful cards :) Thanks for sharing!!! WOW Olga, looks like you had so much fun creating these! They're so beautiful! Gorgeous cards Olga. I love how some of your cards are really colorfulo and some are soft and delicate. Thanks for the inspiration. Your cards are Soo BEAUTIFUL!! Your cards are just gorgeous! Thanks so much for sharing and inspiring us! Your cards are all so beautiful. Thanks for the inspiration. Oh! 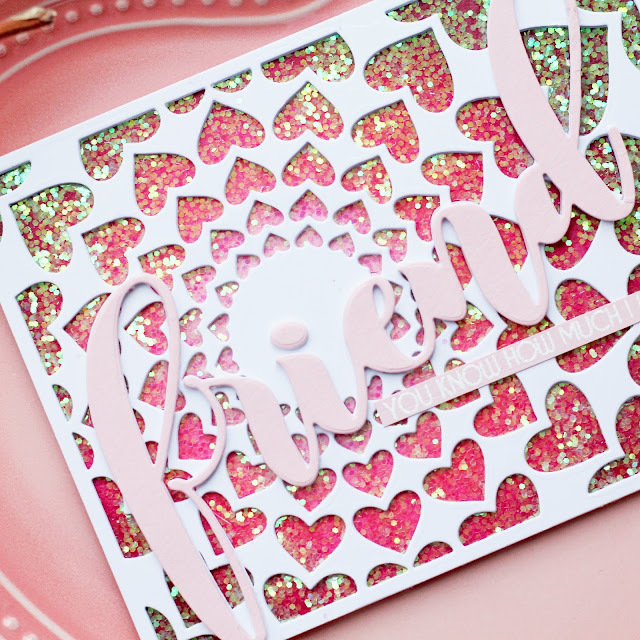 All the sparkle in the heart card is so fun!! Love the green and pink in the heart floral card. All of the cards are beautiful! Can't decided which I like best. They are all beautiful. Awesome Release! Great projects, I especially love the Wonderland floral card! All of these are so wonderful, I don't even know which one I like most! Awesome examples of this month's offerings. I especially love the floral hearts. It really stands out with the coloring you did to each heart. Lovely creations. 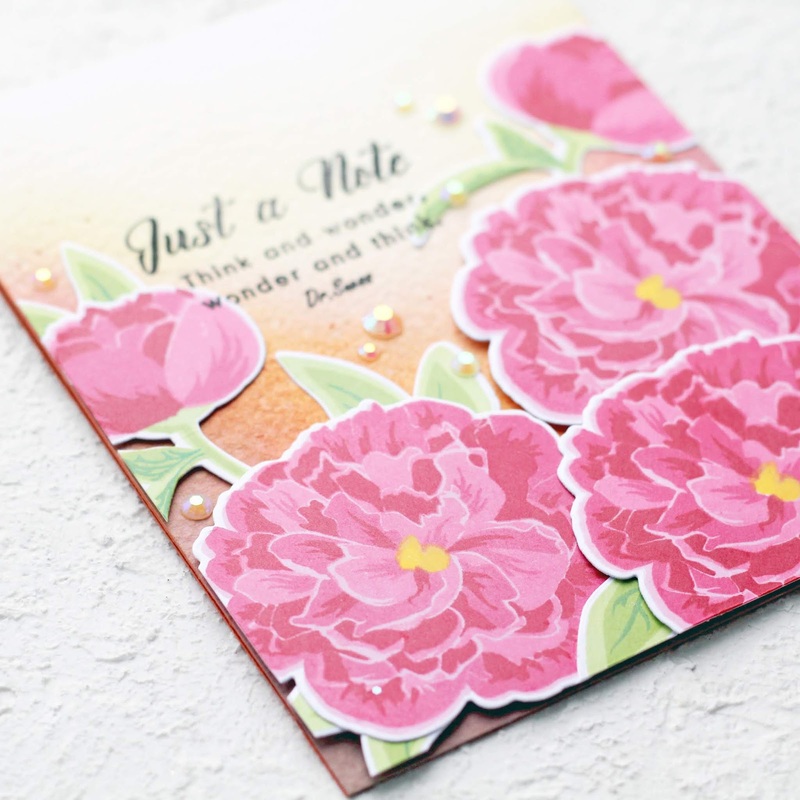 I love the Dainty Bouquet and your card made with it. Love all your creation in this post . So many possibilities with this new Altenew release!! Beautiful cards. Love the look of the shaker heart background die. Really great ideas. Beautiful cards! Love your colors and designs. Your cards are stunning! 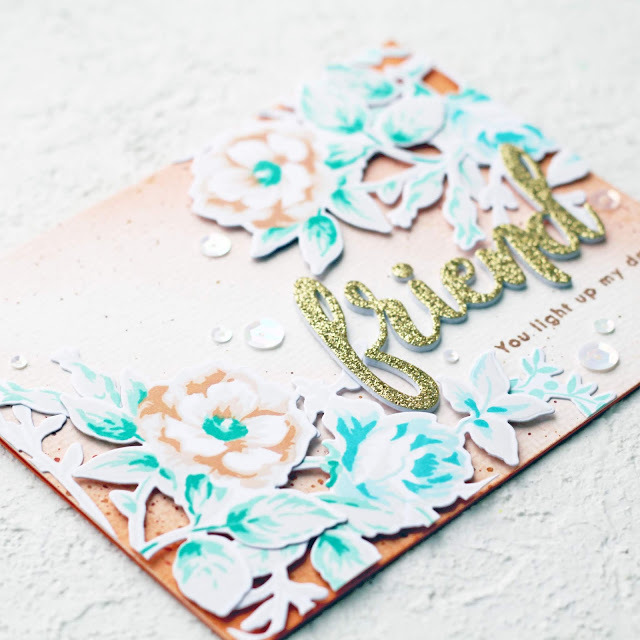 The Radial Hearts Cover Die is one of my favorite new releases and I LOVE what you did to create that beautiful, sparkly effect! All of your projects are beautifully done with beautiful colors! WOW Olga, these are ALL amazing cards. Yes, it MUST be awesome to be among the first to play with such a new release. Lucky YOU! Beautifully done! All of your cards are fabulous! But my favorite is the Radial Hearts Cover Die card. Beautiful cards with such fabulous colouring. 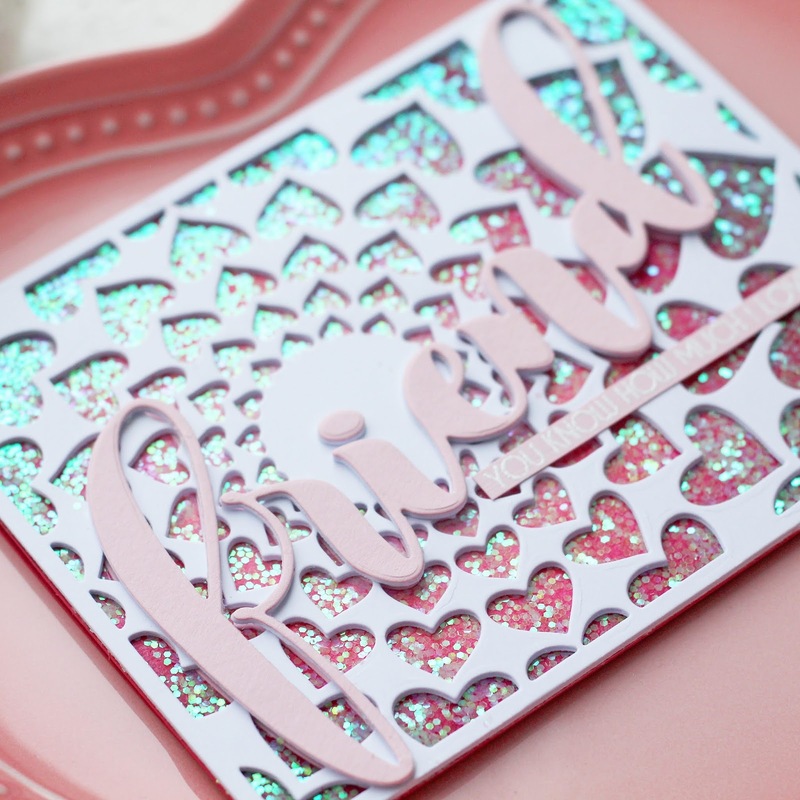 I also love the glittery background under the Radial Hearts die-cut. These are all amazing! I love the colors in the green hearts, with the gold love! What a great combination! 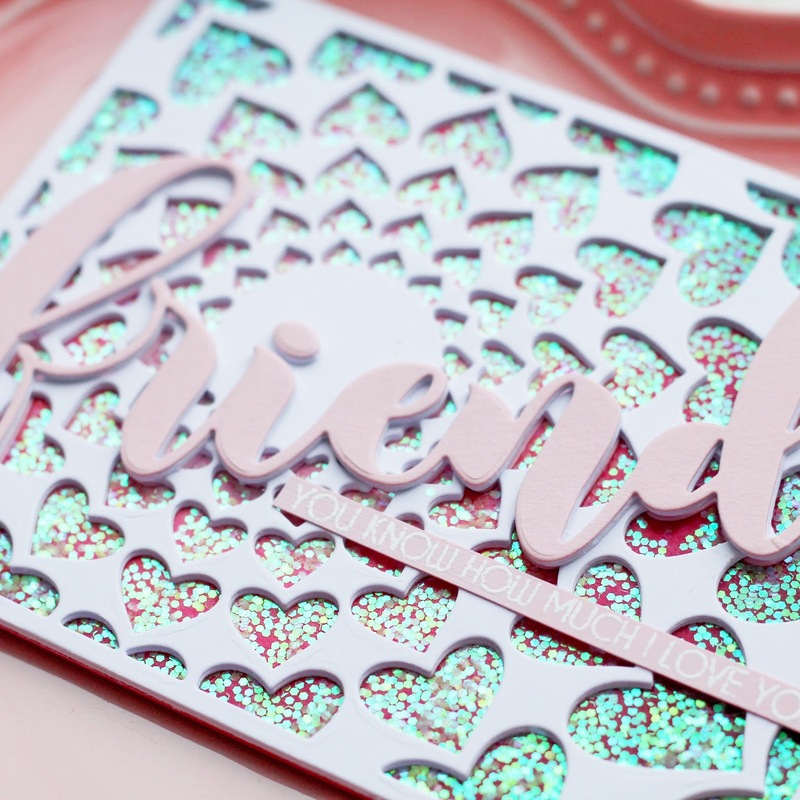 Beautiful cards, I especially love the heart background die with all the glitter! Your work is gorgeous but the Wonderland set card is my favorite! Am wanting all of this release! Your watercoloring on the Wonderland flowers looks great. I like your surprise highlights of red. I love your cards and that magical glittery background is impressive. I wish I could watercolor as beautifully as you...Thank you for all of your inspiration. 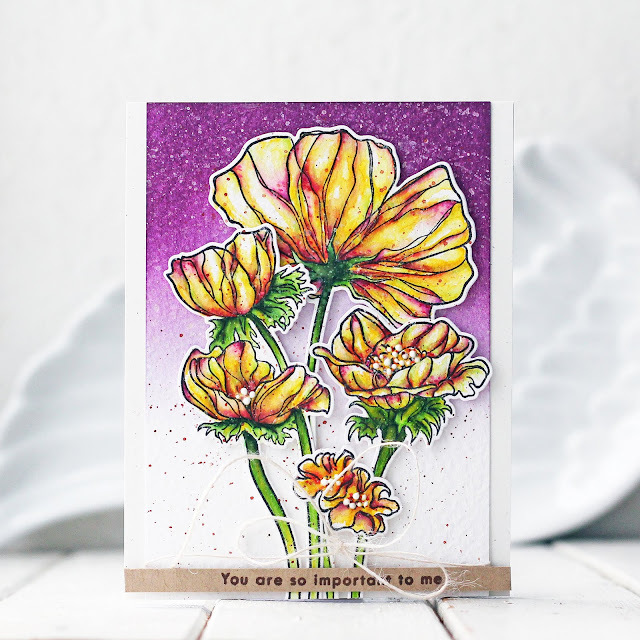 Your bloom and bud card is amazing - I love the carmel background - it is gorgeous. Such loveliness! I really love the pink roses card, but they are all so beautiful. Altenew is really coming out with such pretty images! Your cards are gorgeous. Beautiful colors, unique styles. Love them all. Beautiful cards!! I especially love that first one with the vivid pink colors!! Oh gosh. These are simply stunning! Beautiful cards! I love the variety of cards you created! Thanks for all the great inspiration! LOVE the colors!! These are so lovely!! Gorgeous cards! The Floral Heart Frame Die is one of my favorites of the release! Gorgeous!! Your beautiful products made it more difficult to make a decision. I like them all!!!! That first card is the reason I bought that set. Wow! It is beautiful. 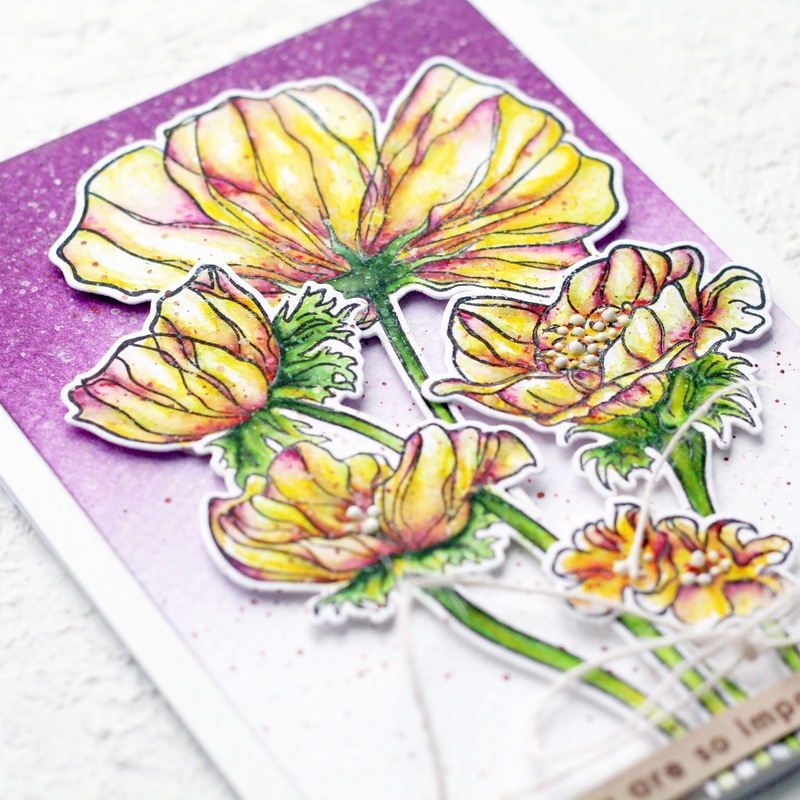 I love your card using the new Bloom and Bud stamp set! Beautiful! You did an amazing job on your cards! I love the one using the Dainty Bouquet. The soft colors are so pretty! I also really like the radial hearts card with the beautiful glittered background. Wow...all of your cards are just beautiful!!! I have purchased a few things and am excited to try them out when I receive them...thank you for your inspiration! Every single one is beautiful! I'd be thrilled to have any one land in my mailbox and hope mine turn out as lovely! 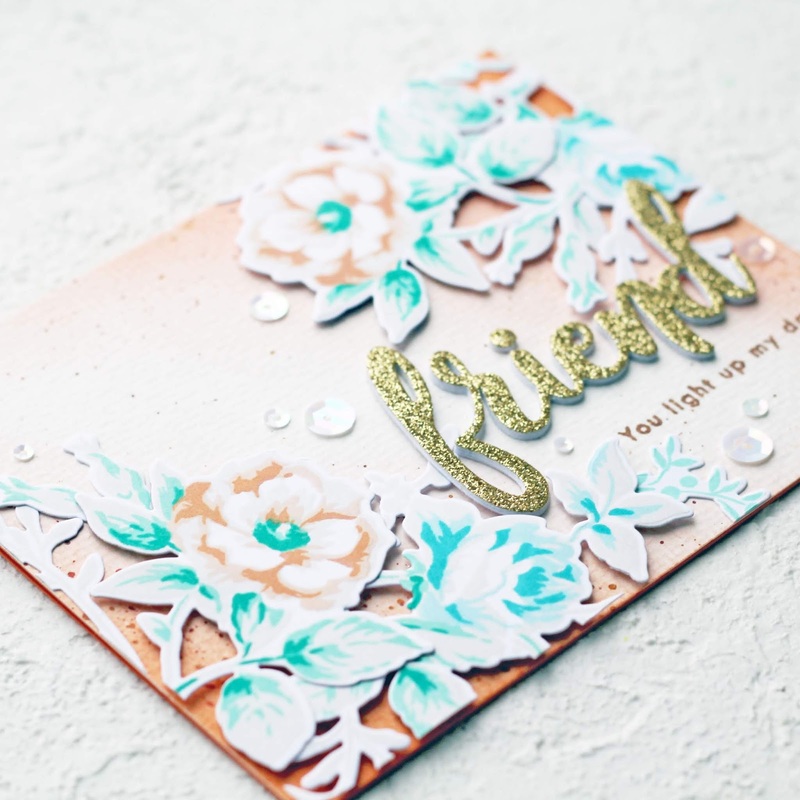 Your cards are so pretty and a great showcase of these new products. Thanks for sharing your creativity. Love this cards! Thanks for sharing! Absolutely gorgeous cards! I love, love, love the Dainty Bouquet set!! While I looked at all you created and liked them very much I simply LOVED your first one using Bloom & Buds. I am in the middle of winter here in Ohio and those colors are so Spring!.